The 2018 General Assembly took place in Vienna last month, drawing more than 15,000 participants from 106 countries. This month’s GeoRoundUp will focus on some of the unique and interesting stories that came out of research presented at the Assembly. The World War II battleship Tirpitz was the largest vessel in the German navy, stationed primarily off the Norwegian coastline as a foreboding threat to Allied armies. The ship was 250 metres in length and capable of carrying around 2,500 crewmates. Despite its massive size, the vessel’s presence often went unnoticed as it moved between fjords, masked by a chemical fog of chlorosulphuric acid released by the Nazi army. Ultimately the ship sank and the war ended, but evidence of the toxic smog still lingers today, in the tree rings of Norway’s nearby forests. Claudia Hartl, a dendrochronologist from the Johannes Gutenberg University in Mainz, Germany, made this discovery unexpectedly while sampling pines and birches near the Norwegian village Kåfjord. She and her research team presented their findings at the General Assembly in Vienna last month. “Hartl had been examining wood cores to draw a more complete picture of past climate in the region when she noticed that some trees completely lacked rings dating to 1945,” reported Julissa Treviño in Smithsonian Magazine. The discovery was odd since it is rare for trees to have completely absent rings in their trunks. Tree ring growth can be stunted by extreme cold or insect infestation, but neither case is severe enough to explain the missing tree rings from that time period. 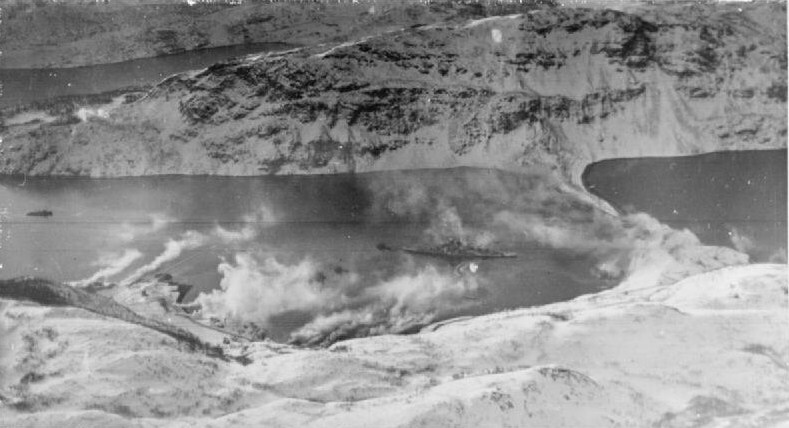 “A colleague suggested it could have something to do with the Tirpitz, which was anchored the previous year at Kåfjord where it was attacked by Allied bombers,” explains Jonathan Amos from BBC News. The researchers indeed found physical and chemical evidence of the smokescreen damage on the trees, demonstrating the long-lasting impact warfare can impart onto the environment. Researchers use seismometers to record Earth’s quakes and tremors, but some seismologists have employed these instruments for a different purpose, to show how humans make cities shake. 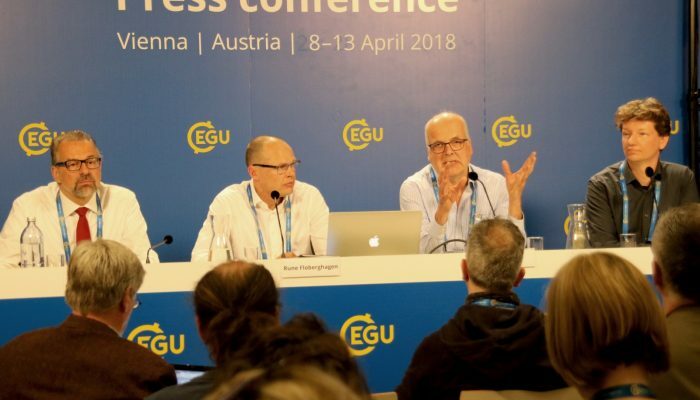 “This new field of urban seismology aims to detect the vibrations caused by road traffic, subway trains, and even cultural activities,” reports EGU General Assembly Press Assistant Tim Middleton on GeoLog. 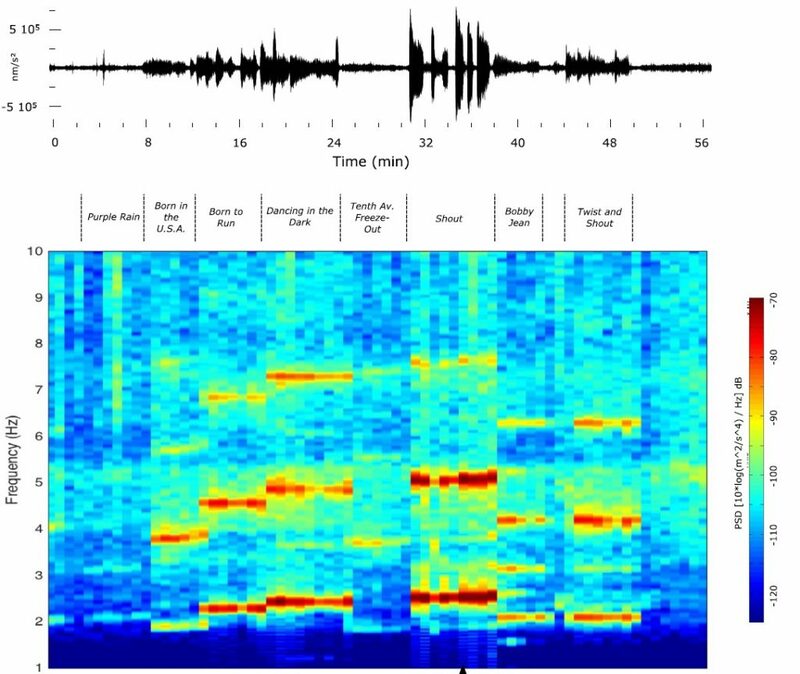 With seismometers, Jordi Díaz and colleagues at the Institute of Earth Sciences Jaume Almera in Barcelona, Spain have been able to pick up the seismic signals of major football games and rock concerts, like footballer Lionel Messi’s winning goal against Paris Saint-Germain and Bruce Springsteen’s Barcelona show. Díaz’s project first began as an outreach campaign, to teach the general public about seismometers, but now he and his colleagues are exploring other applications. For example, the data could help civil engineers with tracking traffic and monitoring how buildings withstand human-induced tremors. Meanwhile in Antarctica, snowfall has increased by 10 percent in the last 200 years, according to new research presented at the meeting. After analysing 79 ice cores, a research team led by Liz Thomas from the British Antarctic Survey discovered that Antarctica’s increased snowfall since 1800 was equivalent to 544 trillion pounds of water, about twice the volume of the Dead Sea. It has been predicted that snowfall increase would be a consequence of global warming, since a warmer atmosphere can hold more moisture, thus resulting in more precipitation. However, these ice core observations reveal this effect has already been happening. The new finding implies that Earth’s sea level has risen slightly less than it would have otherwise, but only by about a fifth of a milimetre. Though overall, this snowfall increase is not nearly enough to offset Earth’s increased ice loss. Also at the Assembly, scientists presented new data collected from a team of ESA satellites known as Swarm, In particular, the satellite observations recently mapped magnetic signals induced by Earth’s ocean tides. As the planet’s tides ebb and flow, drawn by the Moon’s gravitational pull, the salty water generates electric currents. And these currents create a tiny magnetic field, around 20,000 times weaker than the global magnetic field. Scientists involved with the Swarm project say the magnetic view provides new insight into Earth’s ocean flow and magnetic field, can improve our understanding of climate change, and help researchers build better Earth system models. This week’s Imaggeo on Mondays highlights an amazing view of the night sky at new moon. 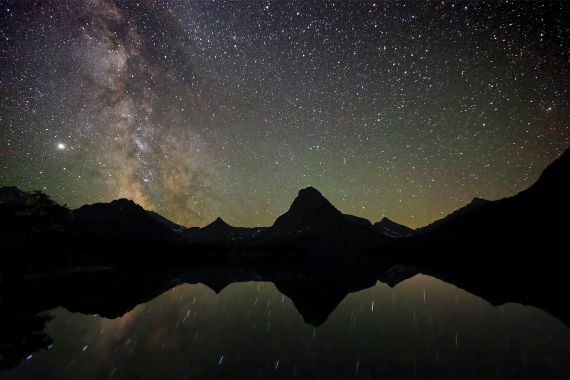 Christian Klepp took this photo while at Waterton Glacier in the Rocky Mountains – it’s an incredible feat of determination to spend the night beside a glacial lake in the Rockies, let alone to capture such a photo! “Patterns in the void” by Christian Klepp. This image is distributed by the EGU under a Creative Commons licence. You can find out more about the image from the photographer. The centre of the Milky Way lies just over the horizon, shrouded by clouds of interstellar dust. To the left of it is Jupiter – the brightest spot in the photo. Jupiter orbits the sun at a distance of about 778 million kilometres (Earth is about 150 million kilometres away), taking twelve times longer than Earth to make the trip. 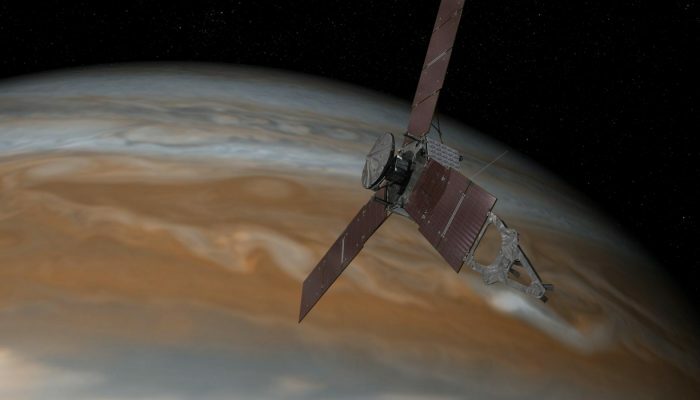 Unlike our atmosphere, Jupiter’s is rich in hydrogen and helium – the elements that fuel our sun – and if this gas giant had been 80 times bigger, it would have been a star too – and would have been considerably brighter than it is in Klepp’s photo! Imaggeo is the EGU’s open access geosciences image repository. A new and improved Imaggeo site will be launching soon, so you will be able to peruse an even better database of visually stunning geoscience images. Photos uploaded to Imaggeo can be used by scientists, the press and the public provided the original author is credited. Photographers also retain full rights of use, as Imaggeo images are licensed and distributed by the EGU under a Creative Commons licence. You can submit your photos here.